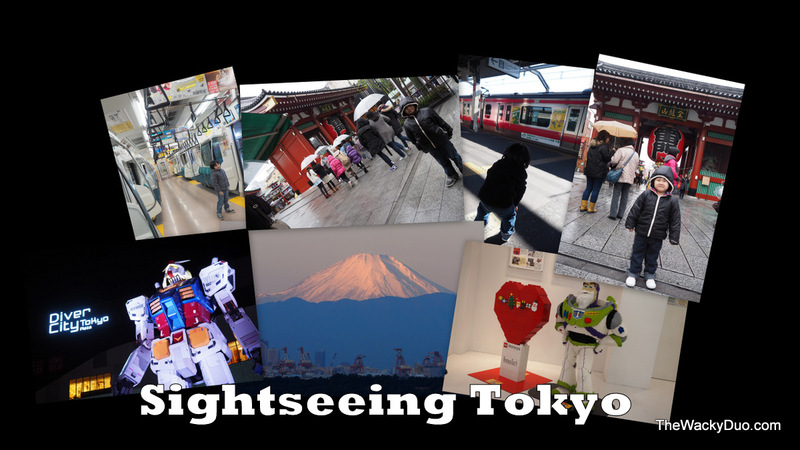 Tokyo had been our choice holiday destination for the past 4 years during the December school holidays. For us, it is an understatement to say that Tokyo is a very kids friendly destination. 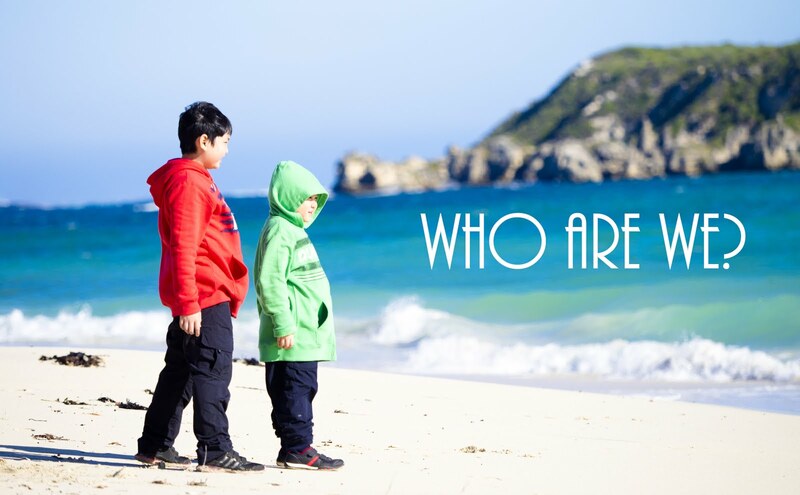 Want to spend a holiday at Tokyo with kids but do not know where to start? 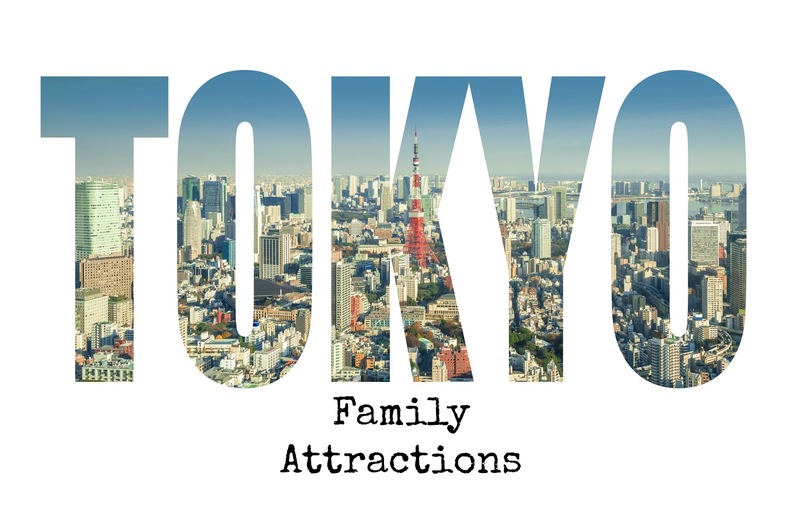 We supersized our previous Tokyo with Kids edition with 20 family friendly attractions in Tokyo. 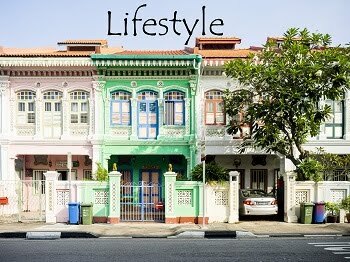 Best of all, all attractions listed are easily accessible via the subway. A day trip out to anyone of them would be a breeze. Disneyland is billed as ' The happiest place on Earth '. How could we resist a visit especially since they have a double celebration of 30th anniversary and Christmas. Best time to visit Disneyland would be during the theme holidays as you would get to enjoy the special parades during these periods. 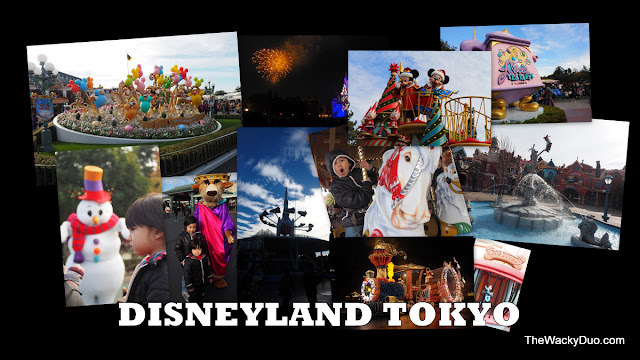 Disneyland Tokyo is highly popular, especially among the locals, so do expect a huge crowd. On a good day, you would probably be able to squeeze in 5 rides with kids. Otherwise expect queues up to 120 minutes long! Tip : Plan a 2 day pass if you want to explore the whole Disneyland attractions. 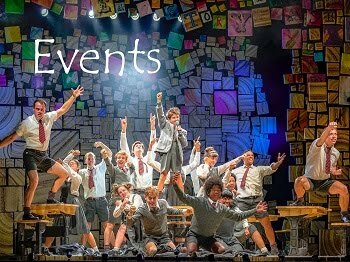 Otherwise for just 1 day, we suggest skip the long queues and get a good seat for the awesome parades and shows throughout the day. The little sister to Disneyland. 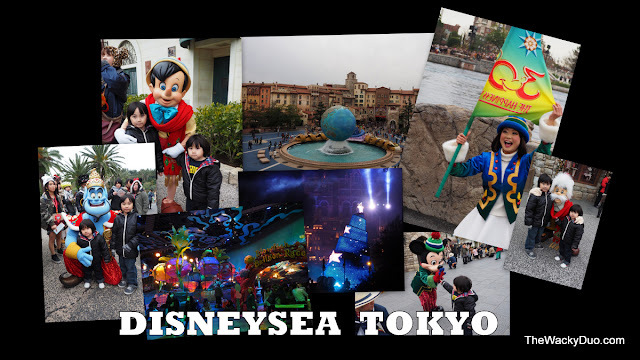 Disneysea is more ride oriented and cater to older kids or adults. However young tots do have their pockets of play space. The main park shows are based in the sea and it is best to get a seat near the water for a better view. Grab your seats early as it fills up fast. Tip : Head straight to Mermaid lagoon if you have kids below 3. For a complete Disney experience, grab a three day pass. Ueno Park is a fantastic location if you intend to visit many attractions at one location. 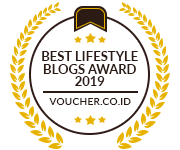 Here you can find Kaneiji Temple, Tokyo National Museum, National Museum for Modern Art, Tokyo Metropolitan Art, National Science Museum, Uneo Zoo and even a small amusement park! 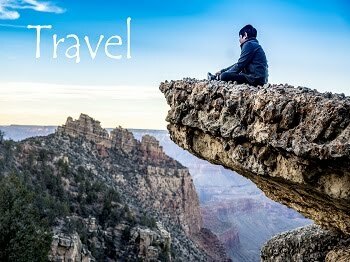 Tip : Spend one whole day there! If you have only time for one museum at Ueno Park, National Museum of Nature and Science will be the place to go. Boosting a huge collection of dinosaur bone, it is a wonderful introduction to history and nature. There is also an indoor playground for kids. Best of all kids go for free! Tip : Probably the best museum for kids in Tokyo , so it is worth a visit. A visit to the local zoo is a must for us if we can spare the time. 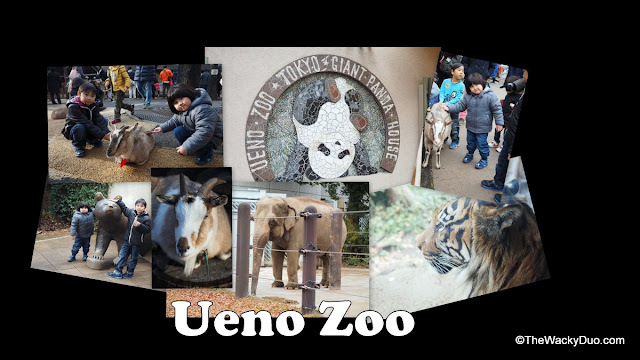 Ueno Zoo would be a great place to start in Tokyo. 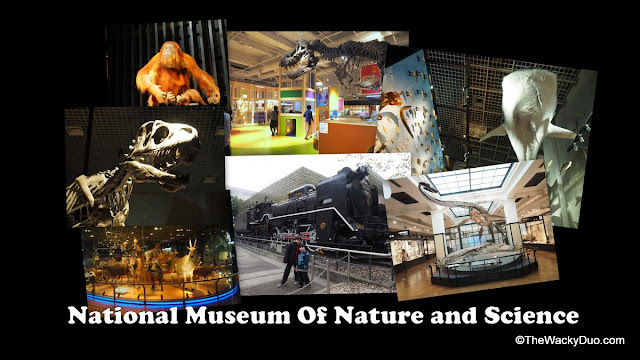 Tip : Visit the zoo and the Museum of Nature and Science at the same day to save time! A theme park in the city? There is one at Tokyo Dome City. 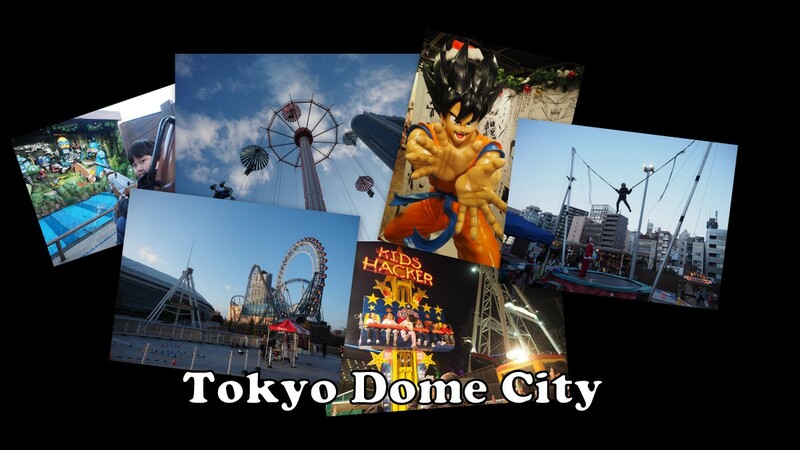 If you find travelling to Disnyeland too far, Tokyo Dome City will be your next best location. It is a smaller version of an amusement park and has some rides for kids. 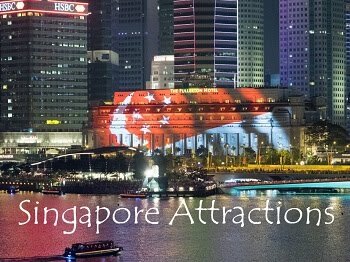 Admission is free and rides are chargeable on a per ride or a one day pass basis. Tip : Plan your rides, there is no admission but the individual rides can be costly when you add them up. Odaiba is a large artificial island on Tokyo Bay. Initially build for defensive needs in 1850, it had since developed into a destination for everything fun for the family. Amongst the numerous shopping center, tourist attractions and arcades , is a giant Ferris wheel located at Palette town. For a glimpse of Tokyo skyline , we recommend you to take this ride! 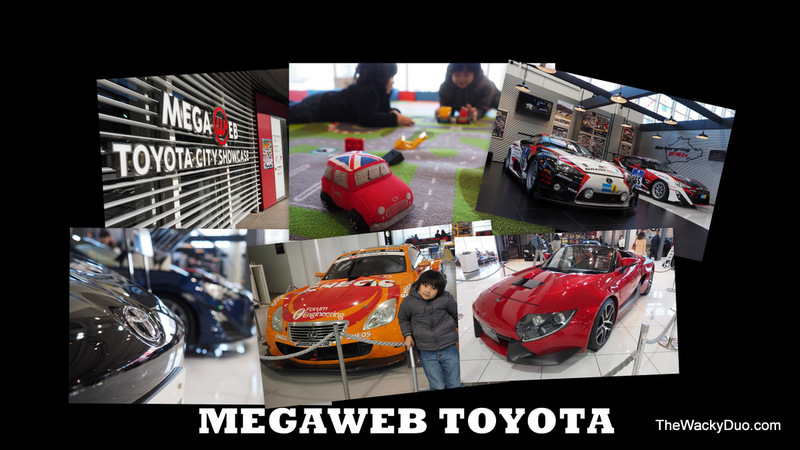 Tip : Mix your trip with a visit to one of the amusement centers or a visit to Megaweb nearby. Yearning for your Lego fix? Head to Legoland discovery center located at Decks Tokyo Beach @ Odaiba for everything Lego. The place is not as big as Legoland itself, but they do have a few rides and an indoor playground that would work their magic on kids. It's a unisex attraction with a corner for fans of Lego Friends. Odaiba holds many little indoor attractions. 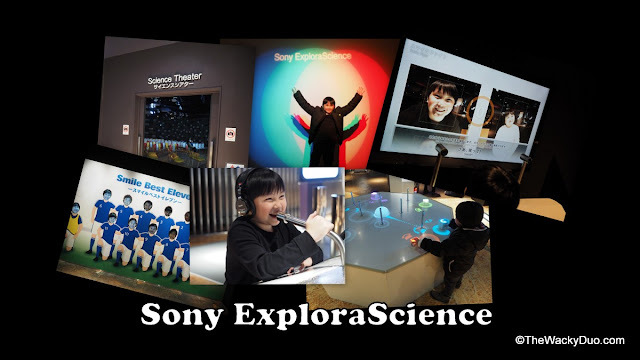 Sony ExploraScience is one of them. 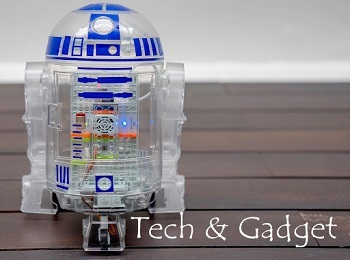 There are many interactive stations that the little ones can explore within. Tip : If you are planning a shopping trip at Aquacity, do plan an hour or so for a visit to Sony ExploraScience. The main attraction for National Museum of Emerging Science and Innovation is Asimo, a humanoid robot. Watch it walk, run and even jump. 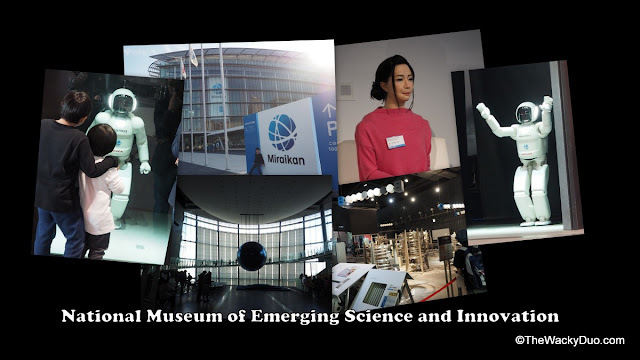 The rest of the exhibits are not as memorable as Asimo. Tip : Go during the period when Asimo has a demonstration to see what he can do. 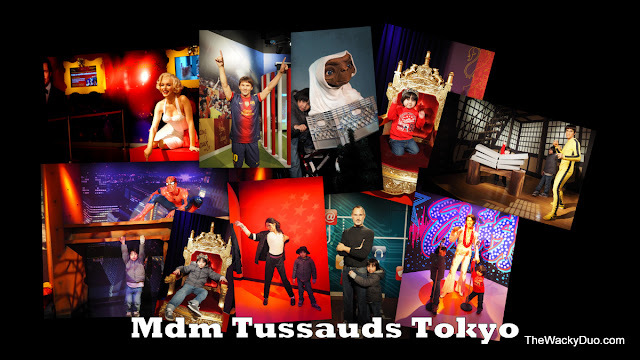 Located just next to Legoland discovery centre at Decks Tokyo Beach, Madame Tussads is the place to be if you want to spot local and Japanese stars. Granted they are not real, their lifelike appearance may make one believe otherwise. 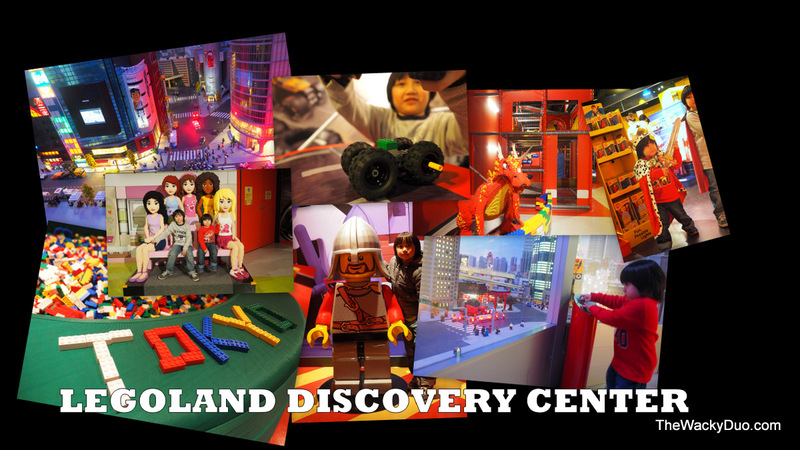 Tip : Plan this trip with Legoland. Book your tickets online to skip the queue and get in cheaper with the combo tickets. Are you familiar with Toyota? Toyota has been the bread and butter car for families. Grandpa used to own one for about a decade. Megaweb Toyota is located at Palette Town. Here you can see the latest and future of Toyoto products. There are some stimulator rides and a mini playground for kids on site. If you are familiar with Tokyo Drift, this place would be the perfect hang out for you and the kids. Tip : Take the Ferris Wheel after visiting Megaweb. 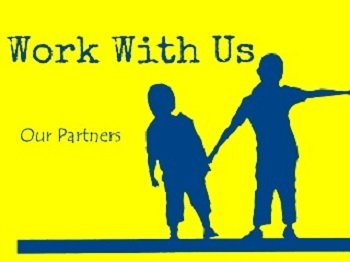 It is located at the back of Megaweb. 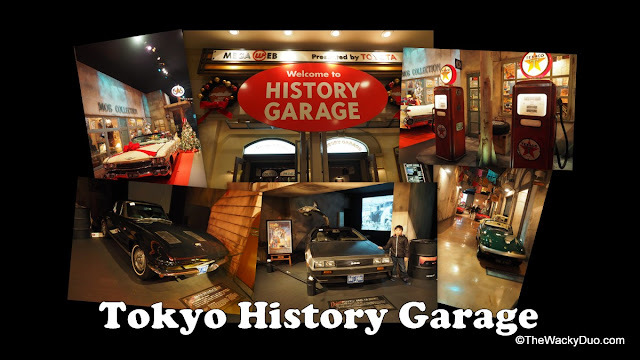 For car lovers, make a pit stop at Tokyo history garage to take photos with vintage cars. Tip : Shop at Venus Fort , an outlet shopping mall while you are there. If you love drums , you will love Taikokan. Located in Asakusa about 200 meters from the popular Sensoji Temple, this will make a good diversion trip while you are in the vicinity. It is a rather smallish museum and you need to pay an admission fee for it. However once you are in it, about 80% of the drums displayed are for your indulgence. Drums from all over the world are displayed in this space. 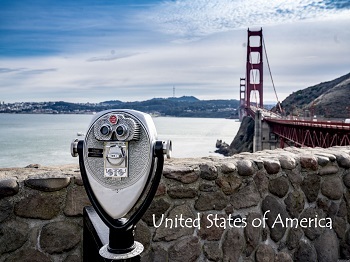 Tip : Photography within the premises are not allowed, but the staff would be willing to take one for you if you wish. Don't forget to pen your thoughts on their signature books thereafter! 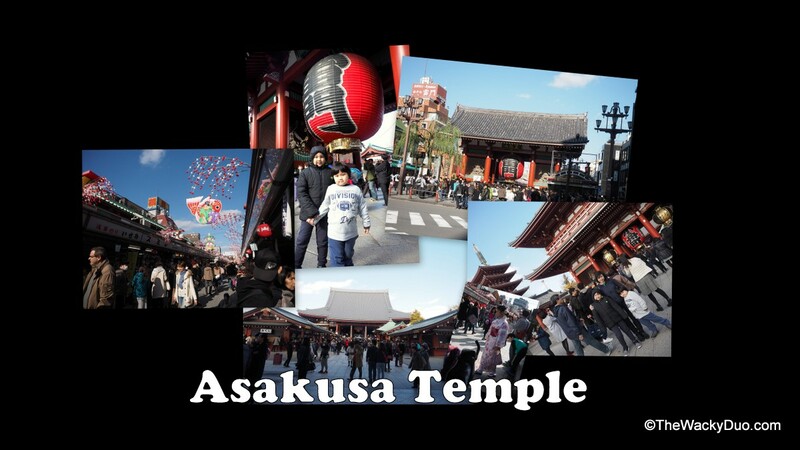 Asakusa Temple is the iconic temple in Tokyo. With shops lining up the streets all the way to the temple, it is a place that is popular with locals and tourist alike. 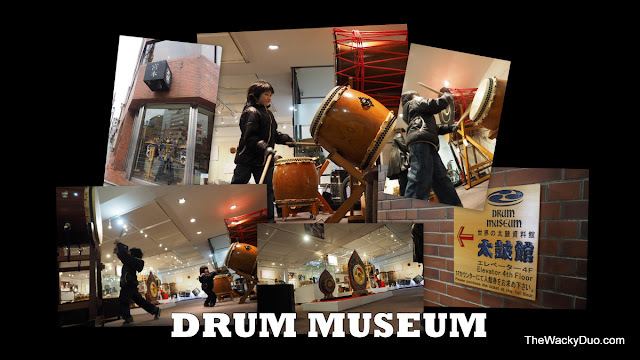 Tip : Plan a trip with the Drum Museum which is just down the road. Tokyo latest aquarium is located at Tokyo Skytree Town. 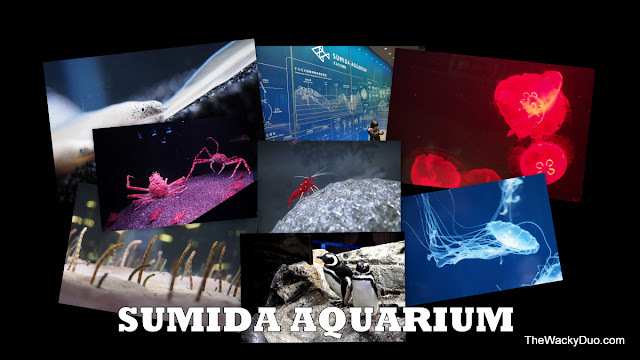 Sumida Aquarium was opened in May 2012, it is a modern medium size aquarium that houses over 10,000 sea creatures. It is located on the 5th and 6th floor. The highlights of the aquarium are the Jellyfish display and the largest open indoor tank that houses dozens of penguins and fur deals. Stuck in a shopping center? 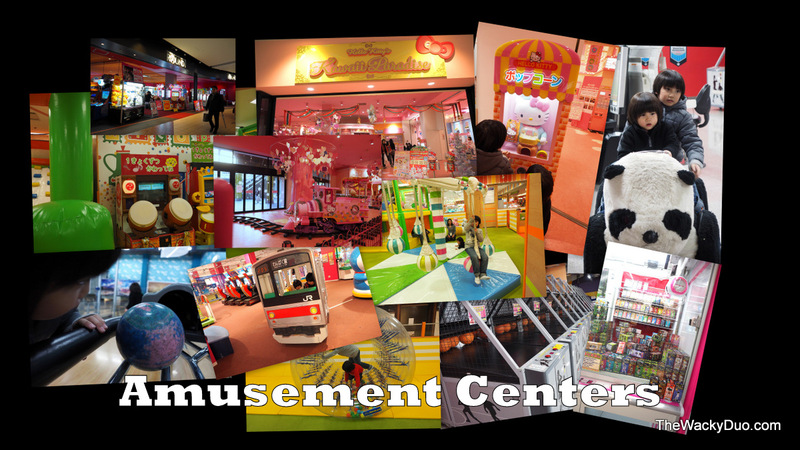 No Fear, there are amusement / arcade centers located in almost every major shopping center in Tokyo! 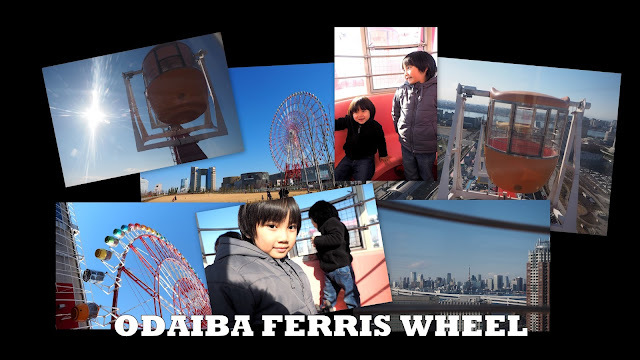 (At least in Odaiba) That means Mom can do the shopping while the boys ( including Daddy) can have their fun at claw machines, mini playgrounds and arcade games. Tip : Aim for claw machines that 'give' prizes away. Just observe which are the popular machines. You may want additional tips here. Look who we have save! 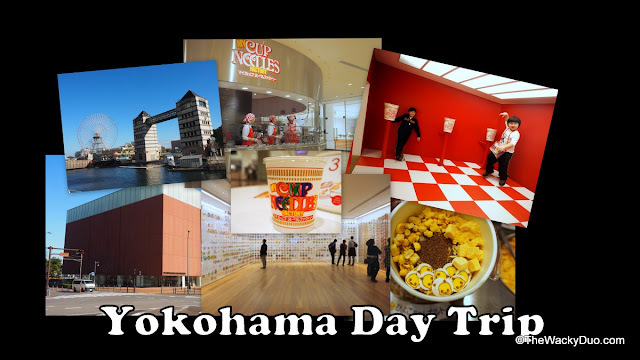 If you have exhausted your activities in Tokyo, just hop on a train to Yokohama. Depending on your location, you can be there within 30 mins or an hour plus. The 2 main attractions there for kids would be Cosmo World and Cup Noodles Museum. 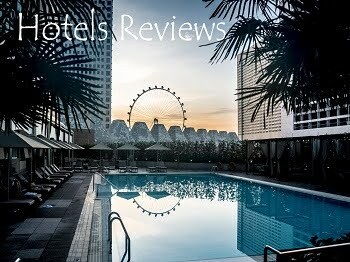 There are plenty more things to do there, but unless you are staying there for the night, the 2 attractions are your best bets for fun. You even get to make your own personalised cup noodle. Tip : Go early in the morning to fully utilize your time. Last but not least, take a visit to the major attractions within Tokyo. 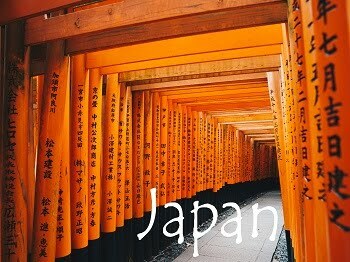 Attractions like Sensoji temple, Tokyo Skytree, Uneo Park., Imperial East Gardens, Akihabara, Shinjuku, Harajuku, Shibuya and more are worth a visit. Most are easily accessible via the subways. Tip : If you are in Tokyo for a short time, you probably cannot cover all the attractions listed here. So take your pick and choose wisely . Frankly a week is not sufficient to cover all these hotspots. There are more to discover in Tokyo. 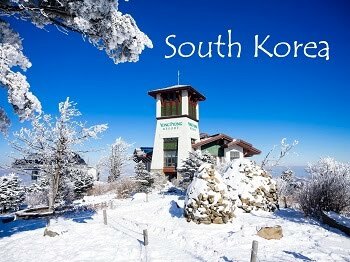 For us this is one choice location given its variety of attractions and the unique Japanese culture. Needless to say, Tokyo will always be one of our favourite holiday destination! 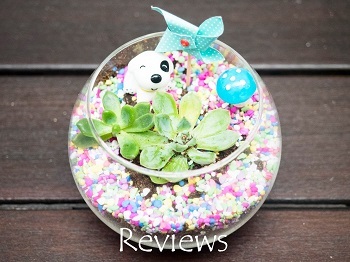 * This is personal experience post. Non of the above are sponsored in any way or form. Thank you for all those informations! There were many people at Tokyo History Garage?